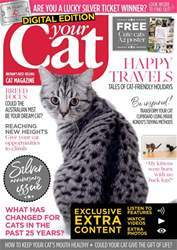 The September issue is packed with both useful and entertaining features for cat lovers everywhere! Behaviourist Vicky Halls explains what is meant by the term socialisation and why it is vital for a happy home and neighbourhood. 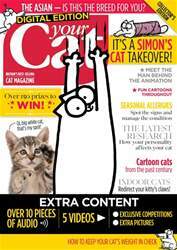 While another top cat expert, Jon Bowen, helps us understand how cats operate their territory and offers solutions for neighbourhood cat problems. Ever thought that the Mona Lisa is missing something? A cat on her lap perhaps? One Russian artist thought just that, and has given famous paintings a feline twist and we meet Svetlana Petrova and her feline muse Zarathustra. 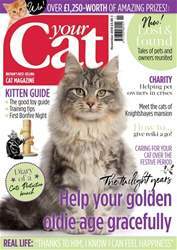 We love to feature remarkable cats, and this month we meet Pippa who has the unique ability to alert her young diabetic owner to periods of hypo. 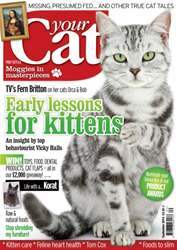 There are touching true cat tales too, plus a special cat Augustus Moon who inspired his owner to write a novel. 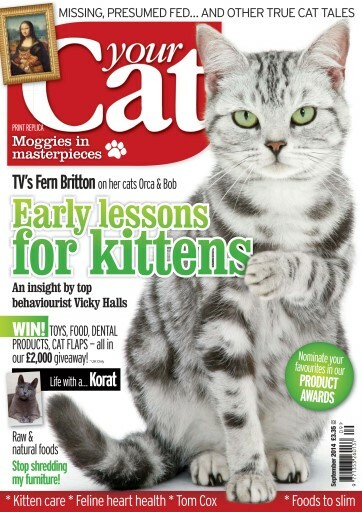 TV personality Fern Britton tells us about her two cats Bob and Orca, and says: I have always been a cat person and now, just can't imagine being without them! We also head to a residential care home with volunteers from The Mayhew Animal Home to see the big difference that a visit from tiny kittens can make to elderly residents. Are you looking to switch your cat to a natural diet? With interest in raw and natural cat foods on the up, we take a look at the range of products available. 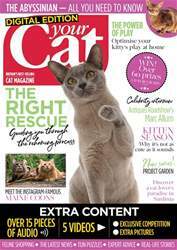 Plus of course, we bring you all the latest news, new products for your cat, dates for a cat lover's diary, thousands of pounds-worth of giveaways, and much, much more!